As part of their Living with…series Active Brokers are trying to give something back to the hundreds of people they speak to each year that have recently been diagnosed with a life changing conditions. Over the next couple of months they will be supporting Diabetes, something that has been very much to the forefront of parent blogging in the last couple of years. Both Northern Mum and Actually Mummy have gone through the traumatic experience of discovering their young, fit and healthy daughters have diabetes and learned to cope with the huge changes that are involved in helping a child to manage the condition so they can live an ordinary and exciting life. I’ve had my own brushes with diabetes, first when I was tested for gestational diabetes in case it had been the cause of the death of my previous baby and more recently to rule out type 2 as the cause of some other symptoms. While I’ve been lucky enough not to have either – and so far our children have escaped it too (one of the few autoimmune issues we don’t seem to have 🙄 ) I’ve seen the pressure it can put on adult and children’s lives first hand for many years. My particular interest in the condition comes via my mum, who rather incredibly designed the artificial pancreas and insulin release gel that is currently in development. The campaign could hardly be closer to my heart. 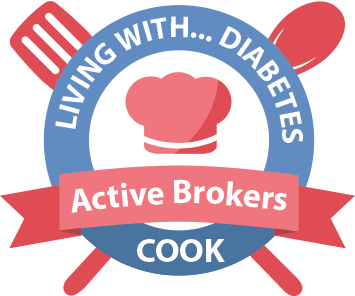 Active Brokers have teamed up with a number of fantastic food bloggers to create a series of recipes that look at great savoury and sweet treats and give them a low sugar twist. Far from taking all the fun out of it, their Living with… Diabetes recipes are full of helpful hints and delicious recipes that anyone can try at home (even if you are just looking for a low sugar alternative for your diet). 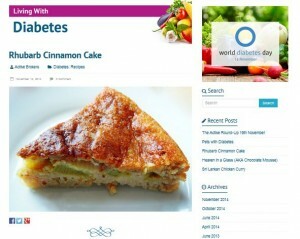 As part of the campaign the company will be producing a fantastic e-recipe book that will be e-mailed out to every person that applies for life insurance with diabetes and then to support the charities that do the research, they will be giving a donation to Diabetes.Org.Uk for every person that takes out a policy.